After what felt like so long, Bella Swan (Kirsten Stewart) finally has everything she's ever wanted: Edward Cullen (Robert Pattinson) and his existance. She also has something she didn't count on; a beautiful half-vampire half-human child, Renesmee (Mackenzie Foy). 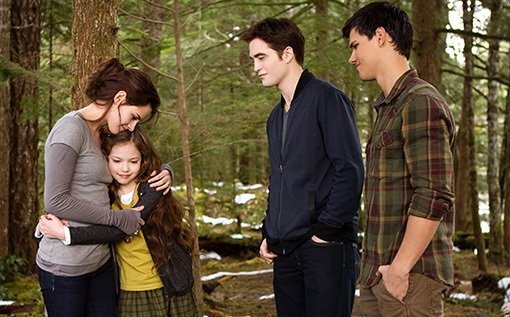 After a rough awakening and meeting her daughter for the first time, things are going absolutely wonderful for the Cullen Family except for the mystery of Renesmee. As they go on with their day to day life trying to figure out why she's growing so rapidly and what the outcome will be, they, along with family friend and werewolf Jacob Black (Taylor Lautner) just enjoy the magic and beauty Renesmee adds to their lives. Until one day a terrible mistake is made that summons the corrupt lawmakers of the vampire world, The Volturi, to pay the Cullens an ominous visit. Taking to far away friends and acquaintances to help prove their innocence while ultimately preparing for a battle that nobody wants to fight but unfortunately looks imminent, will all their effort prove futile? I've been a fan of the Twilight books since before the movies were even a thought. I fawned over the first and second movie, but after that, I started to lose interest and so it really doesn't hurt me to say I hated this movie. I don't normally throw out the big H word, but yes ladies and gentleman, I said hated this movie. And if you've seen the movie already, not for the reasons you probably think! The first movie was low budget and they knew that; they worked with that. This particular movie just seemed to try TOO hard to be a blockbusting hit and it was an epic fail in my opinion. While the acting really isn't the best in the world, I've gotten used to that throughout the last four movies. The graphics were completely fake looking throughout the whole film, which made the movie look totally unrealistic. As for the storyline, while it followed the novel, it was very minimally. It felt like the story was too rushed and a lot that could have been added that would have built up the plot better and made things a little more clear for those who had not read the book were left out. Ironically, I quite enjoyed the big 'twist' that was added even though it wasn't originally in the book. I think it added a depth to the story that the book couldn't have. 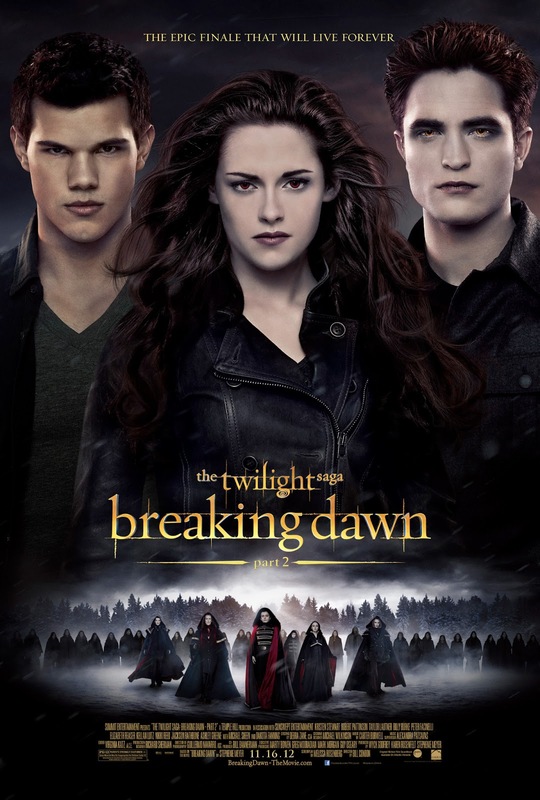 All in all, I was very disappointed with this final chapter in the Twilight Saga and probably will not be seeing this movie again anytime soon. Your honesty is refreshing! I won't waste my time at all. Thanks! I didn't care for the books but liked the other movies okay. I just can't get over Kristen Stewart's bad acting in the movies. I'm not sure if I'll be seeing this one or not. Thanks for the honest review.